When people think of managing an institute, the word ‘game’ might be the last thing that comes to mind. However, with the discovery of gamification, things will be diferent. Learn just how gamification does this by not only improving methodological thinking of leaders by 50% but also help ease planning in general. Increase retention in training and menial tasks. Boost sales and marketing strategies. Help streamline tasks and keep focus. 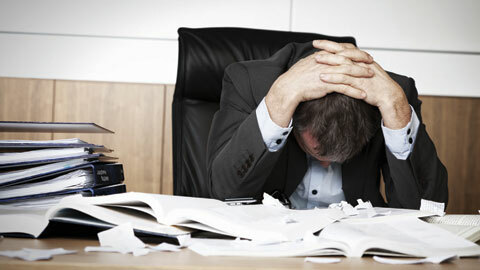 All of the problems above are things that, once met, would impact heavily on the managing individual’s morale. Once they lose main interest in managing such things, they may suffer efficiency. Or worse, they may be completely overwhelmed and cause the project to fail. With those new leaders having gone through a gamified training program. 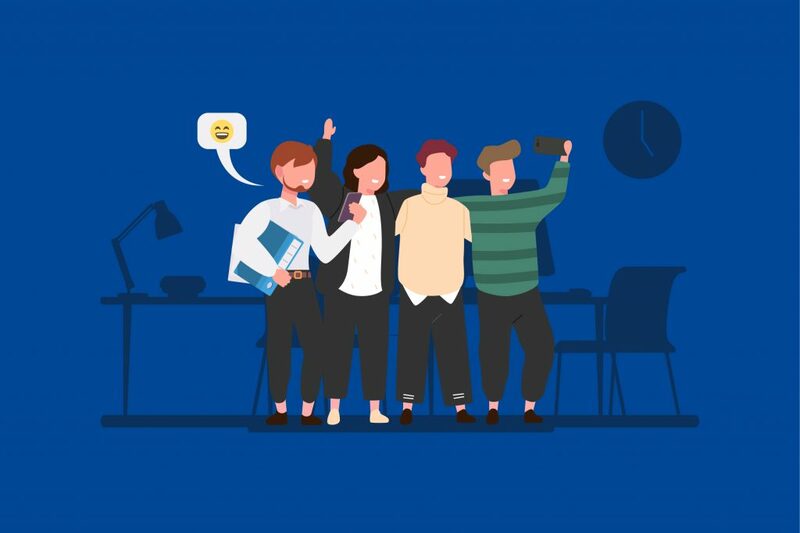 Through dynamics that are based on games, it has been proven that managing employees’ satisfaction grows quite substantially. This is due to their job being easier with the help of not only the automation that the technology provides, but the fun of using such things. In the same citation, you may also find out that the employees in question also seem to still be using it after a period of 6 months. This proves the retention rate a gamified solution offers in opposition to their non-gamified alternatives. An example of this is how employees don’t use solutions specifically invested in by the company to help ease their work. 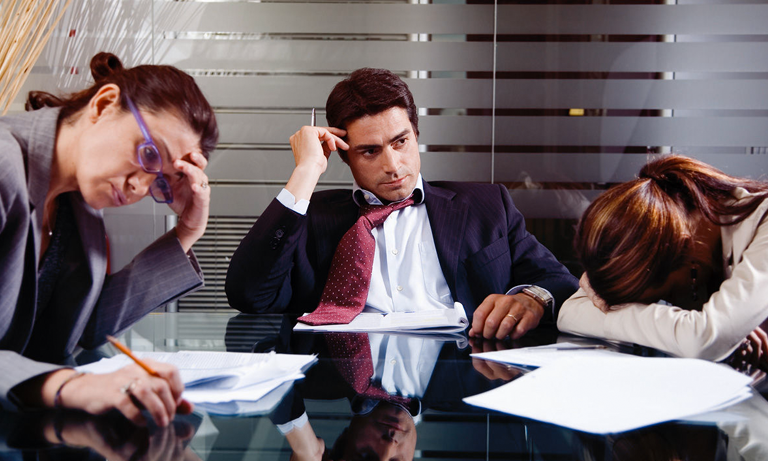 And finally, there are more than often cases where the project managers themselves are completely disengaged. Such an incident may prove catastrophic for a project as big as an institute. When the managers themselves are indifferent towards their work, the employees working under them would most likely be disengaged as well. Though institution such as this is not a competition per se, it would still be favorable to sit on the top wouldn’t you say? First, study what the leaders do and follow what they do right. Once you’re certain you are of equal terms, go beyond and see what they haven’t thought of. Things such as gamification might be the thing that helps you start on your path to innovating your projects. Corporate Universities had always been such an epic-scale investment in the hopes of creating quality employees. However, often clouded by merits and results that may come in unexpectedly longer time than how it envisioned, many corporate universities are doomed to fail. In fact, most would say that inefficient corporate training (including awry corporate universities) so far had caused companies to lose billions of dollars. But what exactly are the risks in maintaining corporate universities? Over 72% of companies refuse to even plan to have corporate universities. With varying reasons and one of them, in particular, is the cost. Building the company’s very own institution to train future workforce sounds incredible in hindsight. And yet, consider the costs of investment it would take to not only build and maintain the facility, but also to provide a quality training experience for future workers of the company. After investing a ludicrous amount of money for this initiative, it would be terrible if one is carried away by the premise that the content is not well managed. Forgetting the fundamentals is critical and often happens when the project manager is lost in secondary priorities of the project. Improvements upon a project on other aspects are nice to have, but not at the cost of forgetting why said project exists in the first place. It’s incredibly easy to become lost in architecture, equipment, and other optional investments in a corporate university. These distractions can make one forget that making future workers want to enroll must be an investment as well. They won’t simply come in waves to a new corporate university unless it might be for a company that they personally like. Since, even if a major company decides to create such an institution, it is no exaggeration that people are gambling their future as a cost to enroll. Often, companies forget that what it means to train is to educate. No matter how much knowledge you have that can be handed down to someone else, it does not necessarily mean you can efficiently teach it. Despite the modules worth of knowledge that will prove useful for a trainee, having them simply read them and expect them to practice it wouldn’t be as fruitful as it could be. Since in most cases corporate universities would depend on practices, it might be intimidating to the trainees to explore their boundaries on the university’s practices. Not to mention that often educating is outside the expertise of the company unless they themselves deal in it beforehand. 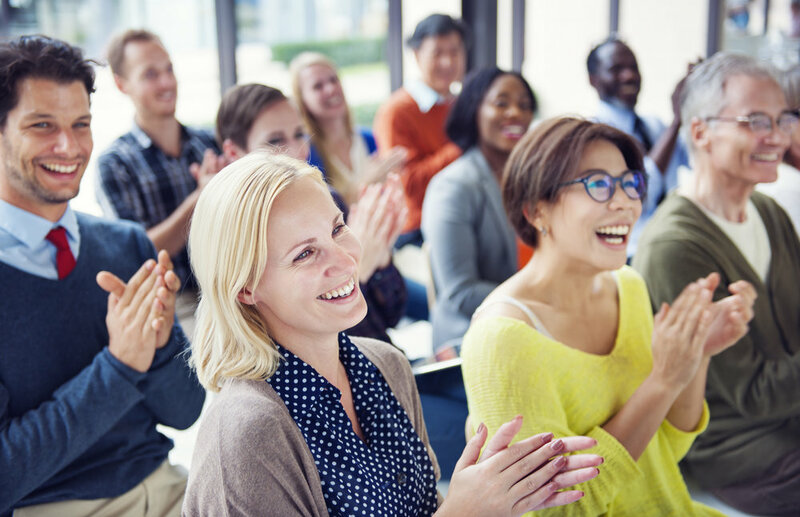 If it is compared to regular corporate training, you may shake your head since only 10% of corporate training are actually successes. It is already apparent how e-learning helps with improving learner’s efficiency. And yet it would seem that some corporate universities are ignoring this fact or simply brushing them off. On the other hand, other corporate universities invest too much in such expensive technologies that it blows up on their faces. Adapting to technology is a must for any company that cares about its fate in the future. Though this should be obvious to companies that require employees to be technologically savvy, others that may not have the same needs should still consider it. Simply minding such mistakes would be solution enough. It is easy to draft an initial plan, but hard to keep up with it once it snowballs into something much larger. However, there is another aspect that may be able to solve the above problems in one shot. But there are also other uses for gamification and gamified platforms. One of them is helping with an institution’s management. Imagine the large, major companies that had created their own corporate universities and succeeded in developing optimal employees that soon rose among their ranks. 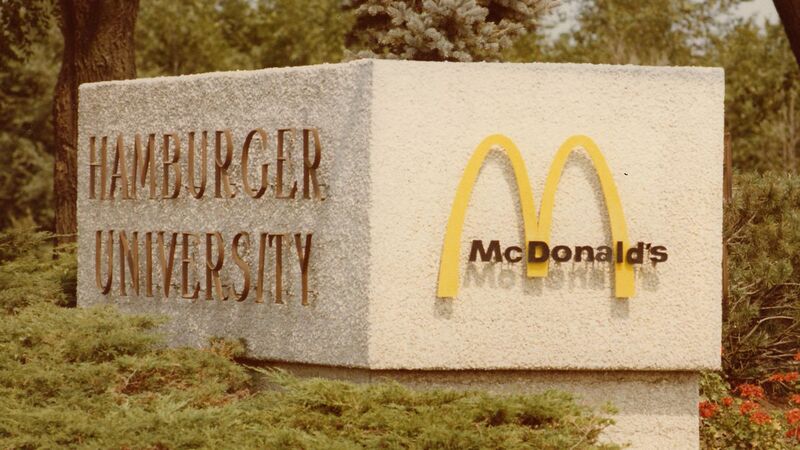 Corporate universities like McDonald’s Hamburger University were among the first to truly succeed in this initiative and is still standing strong after decades of operation. However, should you truly follow their lead or take 2 steps forward and try to overcome them? Despite so many corporate universities that started after the first few that had stood, there are still many failures that lead to risky situations and even up to bankruptcy. Most of them could be because they have their own agendas that didn’t end up as they thought it would. Some may have fallen in fatal mistakes that are impossible to recover from. Or maybe it just hasn’t occurred to them to follow the lead of the leaders. 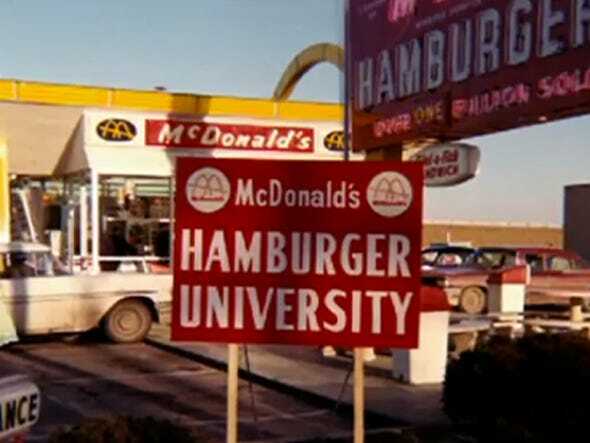 While most Corporate Universities are somewhat secretive, many are actually known about the famous Hamburger University. And here are some things that they’ve done that could be the key to building or maintaining the large corporate training investment, which is a corporate university. Gathered from multiple sources such as Business Insider, Wixsite, Chicago Tribune and much more, below are the shared information of Hamburger University’s success and what to make of it. This is not implying that you should start as small as when HU first started in 1961, but the hint is definitely there. You must understand that starting out with such a facility in too large of a scale will do you no good. Should the initiative fail, you would lose the giant amounts of funding that would have been needed to establish such a facility in the first place. Instead, start small and improve on it steadily. HU manages to blend a perfect combination of practices, e-learning, and classroom learning. Something that many companies struggle with as coming up with efficient education may not be the company’s forte. But the main focus here is how flexible Hamburger University dealt with the education it provides. Besides using e-learning, Hamburger University also implements many others small but useful things that are often glanced over by other companies. A Corporate University isn’t some kind of factory where you can train as many employees as you can, it’s a learning institute. When it comes to learning, you can’t just expect the students to be handed a heavy module and learn everything from there. Hamburger University cares for their students by “tracking and assessing their progress”. Meanwhile, they also dedicate coaches and peer support to help retain what they have learned and apply their knowledge once back at work. A certain amount of dedication is needed to truly help the students grow into model workers that are happy with their company. Many corporate universities now offer other studies that may be irrelevant to the trainee’s future, and this is disrupting the training process. Though trying to cater to the wants of the trainees is a good thing to do, you must also consider its impact. Both cost-wise and result-wise. On the other hand, Hamburger University stuck with their target of training capable managers and leaders. And through that goal, formed the curriculum accordingly. They add new things to learn for their students, but all of which still revolves around their end goal. While following the lead of leaders are incredibly useful to catch up on the years of the gap that had grown, you must take a step further should you wish to be better. While CorpUs like Hamburger University keeps on innovating, if one wishes to be better, they must seek to do the same after catching up. There are multitudes of ways to innovate further on the effectiveness of Corporate Universities. Perhaps trying out something similar to what the corporate university boom in Indonesia had led to a competition for the best innovations which participants share. Or perhaps apply gamification to a more engaging university system is it for managing or learning. Knowing the path made by leaders and going beyond them is the key to coming out on top. Levio is a gamified learning platform made by Agate to help supplement learning and training. Be it for a less formal school or a more corporate use within professional companies. 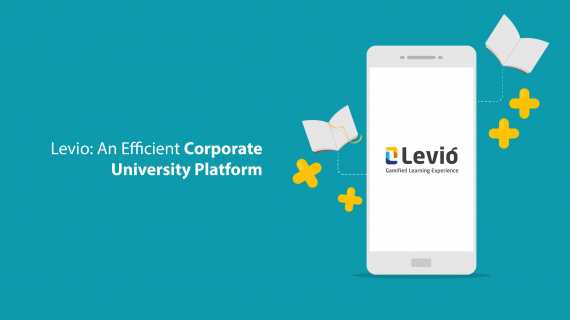 Though you may be wondering how such a platform would help your corporate university, the answer is actually quite simple, Levio is incredibly malleable. Levio as a platform is somewhat unique than other gamified platforms on the market. Where most other platforms can serve basic features such as organizing tasks, showing leaderboards and progress, then giving scores, Levio takes it a step further by being fully customizable. Levio‘s main niche lies in its capability to be made fully customized to both your learning content and needs. As well as breaking down your learning module into bite-sized content. Not only will Levio help in organizing learners and helping teachers better their delivery and task management, it also comes in with a motivating feature. A particular one that can be changed to better suit your company image. 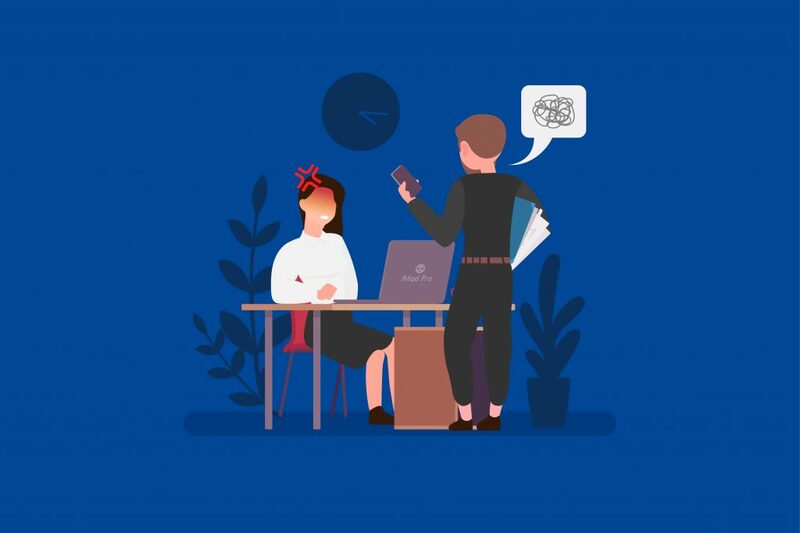 Besides giving simple motivation and providing a ‘fun factor’ for your users, Levio also helps ease the burden of its managers. Among Levio’s many features, it also comes with an admin-friendly report list known as ‘User Explorer’. Where data gathered from the use of the platform is neatly presented to the platform’s manager. Things such as the users’ progression, usage time, and overall statistics are openly visible to admins and thus giving a clearer view in how to strategize and organize your plans to optimize the process even more. 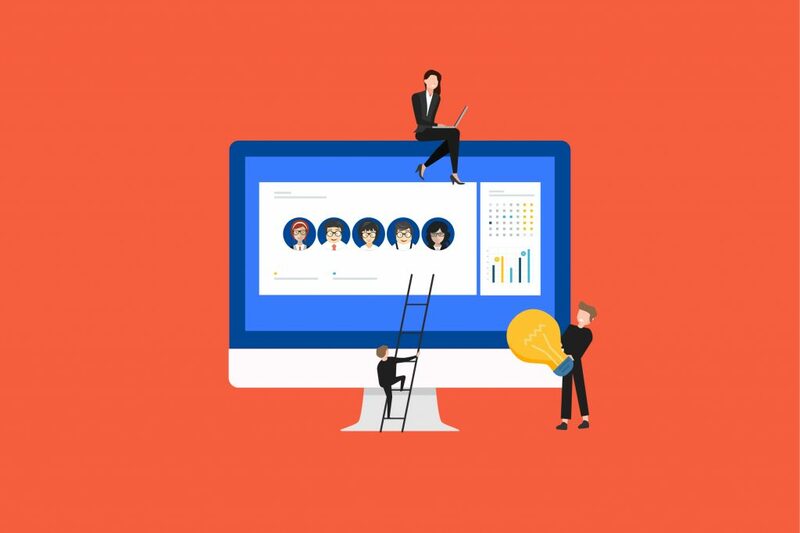 Many among corporate universities are implementing e-learning to help streamline the personnel’s training experience, but Levio takes it a step further. Other than just giving your own courses to the users, Levio also helps by giving supplemental mini-games. Those minigames has been proven to subconsciously help and train various mental aspects of users outside the given course. It is expected that it would help them be even more mentally prepared for real-life work as it simulates the stimulus needed to problem solve and work under pressure. Coming with features such as notifications of new and almost due tasks, Levio also serves as a planner that can be personalized. Helping them to stay on their objective and focus in a straight line towards steady progression, rather than be overwhelmed by tasks usually flooded by such training programs. Alongside that, Levio can also provide a roadmap. This roadmap plays a part as to what material should the user study upon first, all the while with a clear sense of progression that the platform will happily inform the student. Not only streamlined, if Levio is to be introduced to a Corporate University, it can be formed to perhaps even as far as whole courses, rather than just a supplement. As with corporate universities, practices and case studies often be the main focus, Levio can be made to also simulate such things to bring a more efficient real-work experience anytime, anywhere. 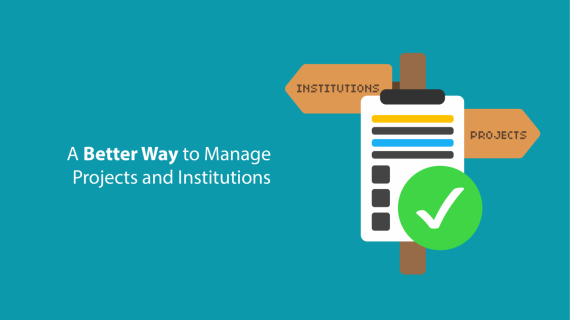 What makes Levio so perfect for corporate universities is the fact that, not only does it cover engagement, but also data management where such a thing would be crucial to any such facility. Levio and other such platforms may very well be the types of innovation that helps indonesian corporate universities to boom even more. Find out more about Levio on its website now! As mentioned in our other article, corporate universities have always needed to fight the struggle of how to advance even further. With many companies disregarding so many fundamentals on what makes a corporate university work in the first place, it is no wonder that most corporate universities fail as they sail on the mainstream. With the point of that struggle is that many companies still view corporate universities on a business level than in a teaching term. Albeit not strictly a university, a corporate university still exists to teach and train your future employees the ins and outs of working for your company. Many companies, however, focus more on what to do after the training is complete rather than how to complete said training. Fancy building and facilities are a well enough supplementary but aren’t the base of what a corporate university needs to produce top employees. If you take a step back and see the bigger picture, the whole point of a corporate university is to educate the future workforce to be as efficient as they can in their work. But this doesn’t happen automatically. A corporate university isn’t some factory that you simply send your personnel to in hopes that they return refined. The keyword here is to educate and in education, business is secondary. It can be the ultimate goal, but must remain a crucial side note rather than the main idea if you wish to teach efficiently. Some companies make the mistake of thinking only of profit including from their corporate universities. While the economy aspect of it is crucial if you want it to run in the long terms, and it does indeed count as one of the faults of why most corporate universities fail, it should not be the main idea if you want the best quality students there are. In the long term, even if you don’t make money from the corporate university side, the income will come in autonomously once your fully refined employees work to improve your company within their work span. Bringing efficient learning to your corporate university is a vital thing. 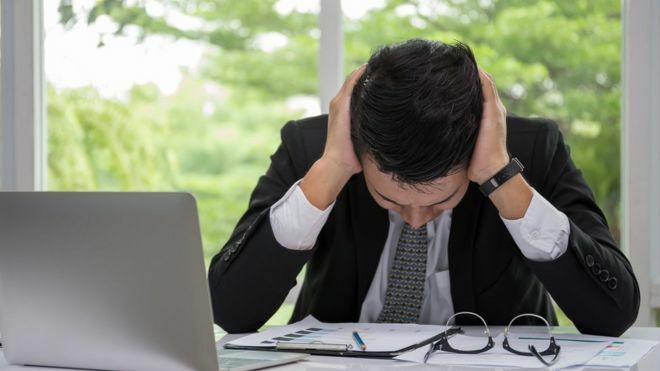 It even should be the core of your future plans regarding your corporate university, as it comes with its own set of problems that many seem to ignore. Problems such as disengagement, irrelevant learning, and falling out of loyalty from the company instead of seeding the loyalty. These problems are plaguing many corporate universities and are hindering the maximum potential of trained employees. There are many ways to bring about a more efficient learning to corporate universities. This very topic being the sole reason for Indonesia’s Best Corporate University annual competition held by SWA. But among them is the plan for gamification. Platforms, such as Agate’s Levio can serve as a more long-term solution instead of regular gamification. 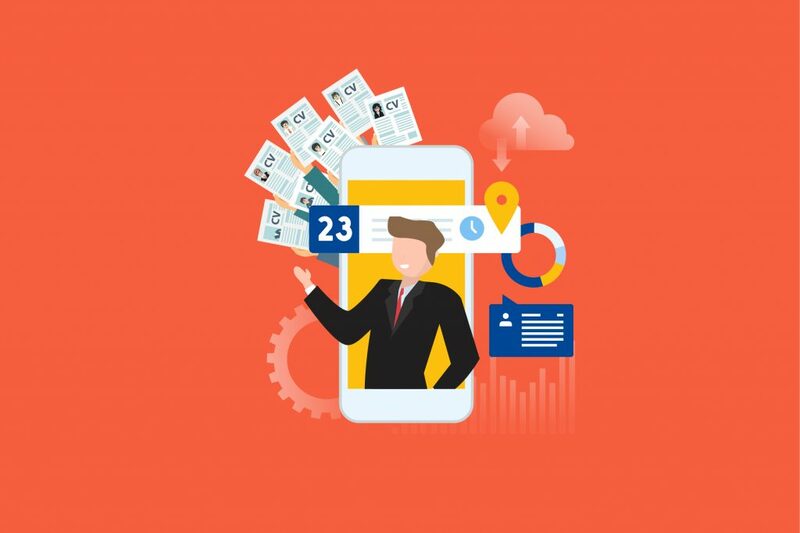 Where regular topic per topic gamified course can serve as a great way to engage your future employees to that topic, the amount you’d have to invest in would be quite substantial if you are planning to cover each and every matter taught. But a gamified platform can serve to help supplement traditional learning as a whole instead of per topic. The first corporate university was built around 60 years ago before the term ‘Corporate University’ was even coined. The journey of corporate university started from only a handful grew to hundreds, and now there are thousands of such institutes around the world. However, what is the corporate university? Well, corporate university had been known to have differing interpretations and definitions from various sources. But most of the said definitions point at the same thing: corporate university is not necessarily a school-like facility like the name would suggest. Instead, they are better fit to be called a training facility, usually owned by a parent company. The point of these facilities is to help personnel grow by conducting activities that foster the personnel’s organizational learning and knowledge. They do not fit the regular ‘university’ term because a regular university would provide an undergraduate and a postgraduate program, while corporate universities provide only job and company-specific training for managerial personnel of the parent company. The hype surrounding corporate universities within Indonesia came much later than that of western companies. As the first few corporate universities didn’t even begin by mid-2000s from companies such as Danamon, Pertamina, and Telkom. But that doesn’t stop other Indonesian companies from following suit. The trend grew ever since with more major companies such as Garuda Indonesia and BUMN investing in the same initiative. Though there is no statistical proof to find from any of these statements due to the closed and secretive nature of corporate universities, the fact that so many of them are standing and continuing only to grow in number should be proof enough how effective the strategy would be. Besides the rapid growth of corporate universities in Indonesia, the hype is currently strong enough to fuel an annual competition that is held by SWA, one of the best publishing company in the business sector. The annual competition that strives to search for companies that proved to be fully capable to organize and build a corporate university so that they can be role models to others working towards that very goal. The point of this competition is to see by each year, which company would have the best innovation and initiative in this strategy. Comparing corporate universities in categories such as Learning Delivery, Learning Design, Learning Needs Analysis, Leadership Training, and so on. 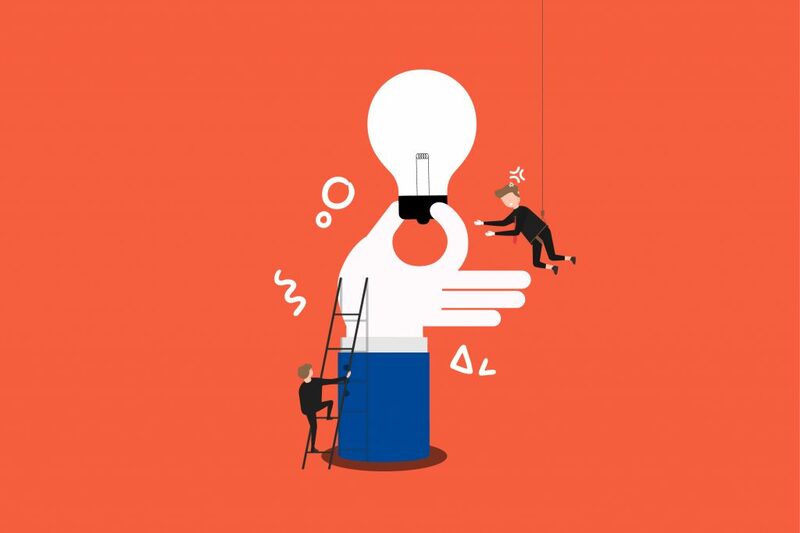 Though many titanic companies seem to breeze through with corporate universities, making them seem like the absolute way to go, like many overhyped trends, the failures are often overlooked because of it. From bloated permanent faculty to difficulty of retaining classroom attendance and too early of eLearning use, there are always ways for this initiative to fail and fail it has. So many companies invest billions of dollars only to lose it all due to poor management and design. Perhaps due to lack of understanding in what makes a corporate university work. But, for whatever those reasons may be, these problems are not as apparent in Indonesia due to the amount of both information sharing provided by the competition and drive to innovate further for the sake of the (corporate) university. And in this regard would most likely benefit from solutions such as gamification. Founded in 1953, Gunung Sewu is a group based in Indonesia that operates within a diversified range of work. From food, real estate, consumer, resources to insurance. 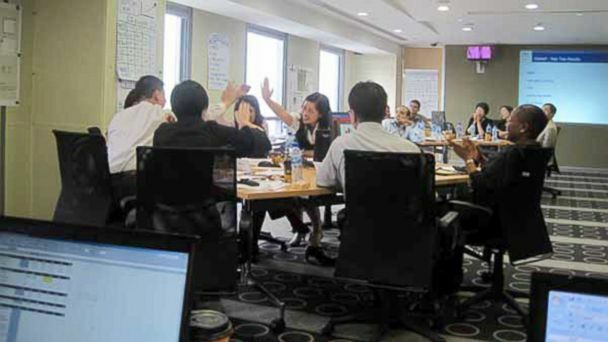 With 30.000 workforces and growing, the Gunung Sewu Group had a need of a simpler yet more efficient way to teach their employees of the company’s code of conduct. 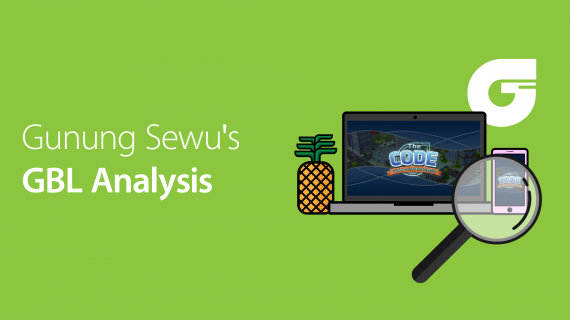 To that end, some time ago, Agate had been requested to create a game—aptly named The Code—that would be implemented as a replacement for compliance training within the Gunung Sewu company. This game simulates some scenarios that can be found within the day-to-day work environment. It also aims to guide the player/trainee into learning for themselves: the appropriate mannerism needed to be taken in such a scenario in accordance with the company’s code of conduct. In this article, Agate team has the chance to have a conversation with Djonny Koesoemahardjono, the Compliance Director of Gunung Sewu Group about the impact of The Code for on delivering a different experience of compliance training. When The Code’s development started off, what were your early expectations? Mainly that the audience will experience a different type of learning which is more engaging, challenging and fun. We expected that this newer experience would help to convey the message within the game to the users. Where did the directives and instructions found in-game derive? The directives within the game were all derived from standard ethical values and principles, as well as what we thought was the ideal work culture would be as it embodies a day to day work activity. In your own opinion, did you think the finished product was satisfying? It is satisfying. I think that the development team from Agate had really managed to combine the dreary and serious topic of compliance with the light and entertaining manner of a game. Thus, creating an ideal experience where even such a topic can be taken in with more motivation. Would you say that the game had a good reception? In general, yes. However, we’ve noticed difficulties at first shown by generation X and older personnel that were just not accustomed to using gadgets or playing games. However, the ones who are willing to learn quickly adapted. Did you find any difficulty to deploy the game? The difficulty is more on the technicality of the underlying system of the game and the infrastructure and/or computer system our own company has, which sometimes does not sync. Another issue is that some employees would need to use a standard phone charge to access the network and play the game. What kind of insight that has been successfully gathered? The most valuable insight would have to be that the training’s message had been delivered much more easily. And the employees themselves seem to have taken a preference to the new system rather than their previous one. It is not at all a surprise that the reception is as well as it is for this project. Game-based learning had always been a good way to engage many people in a topic that—at a glance—may seem dull. As what makes a game fun isn’t the topic itself but the mechanic. Other topics that had been implemented for games that had taught unsuspecting kids many things about the world include: History like in Civilization series, Geography in Where in the World is Carmen Sandiego and even Economy and Business through various Tycoon games and so on. And if the younger minds that are so unfamiliar with the topic could be engaged and guided through it with a game, there is no reason as to why the same wouldn’t work with adults. It should be mentioned however that these games meant for learning are more intricately tailored to what subject would be taught and should not be confused with Gamified Learning. A method meant to ease a more traditional way of learning with game mechanics such as the PBL (Point-Badge-Leaderboard) system and so on. Whether you are using a Gamified Learning system or a Game-Based Learning instead, mechanics of a game are what builds those systems and make them work to drive engagement from the trainee/users. But as time goes by, many begin to realize that gamification doesn’t simply mean using the PBL (Points/Badges/Leaderboards) and be done with it. In fact, most of the time, if you don’t properly use it, albeit it might make way for some benefits. Even odds are it could backfire and become the opposite of what you’d want that system to do for you. This article will aim to provide some new mechanics that could be equally—if not more so—effective than simple PBL. Essentially, when we are taught to be doing something, we would want to know if we’re doing well or not. In this regard, people often confuse the use of points as rewards instead of a mean to give feedback. If your trainee gets the same amount of points no matter what they do, there wouldn’t be any merit to even be earning them. Instead, when a trainee does well they should get more points than when they fail at something. From this fundamental view, only eventually will more points seem like a reward. Another way of using points for this is using it as a measurement where if you have enough points, then you’d earn more stars for example. Badges, Experience Points, Objectives, and Levels are terms that would usually sound unfamiliar to people that rarely play games. But it is these mechanics that gives games and gamified systems such a clear sense of progression. Besides acting as virtual rewards, these mechanics also works as a symbol of the users’ progression. The more the user encounters them, the further they are progressing. For example: Being told that you’ve grown to level 3 after mastering the basics is much more clear than wondering for yourself if you’ve actually mastered the basics or not. This is what often goes through the head of so many people when they implement a game mechanic like leaderboards. You’d more often think you want to incite competition rather than use it to motivate. 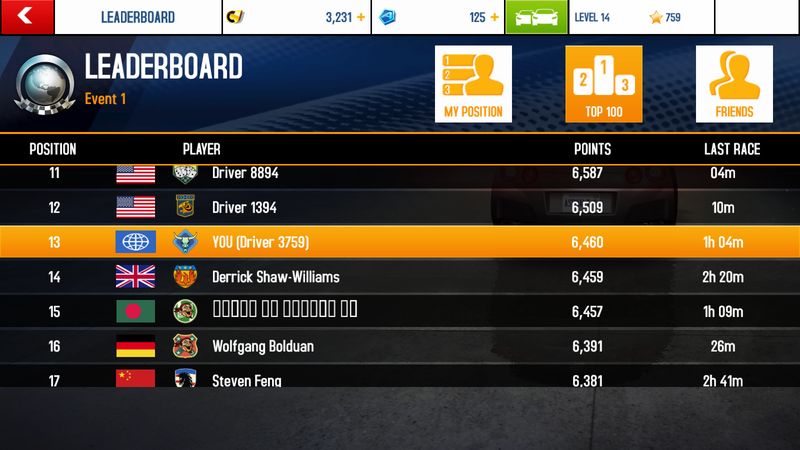 And thus, leaderboards with top 10s are usually made in the hopes that anyone under the top 10 ranking would want to strive for that position. But the truth of the matter: unless you are highly competitive, seeing someone so much better or so far ahead than you can be a major disincentive instead. And if not, things could go very wrong and the competition could very well become toxic instead. A good leaderboard is a type that lets you see your position no matter where it is in the rankings and show the little gap between you and the next rank. Or a special tab where you can see how you fare with friends or people you personally know. There are of course other ways of implementing gamification besides using PBL. One such way that is relatively new to the gamification world is using narrative. A narrative has always been a key mechanic in so many games. Giving the players a context as to why they should play the game. These are the sort of mechanic that, though people wouldn’t likely to take incredibly seriously, still affects their actions. 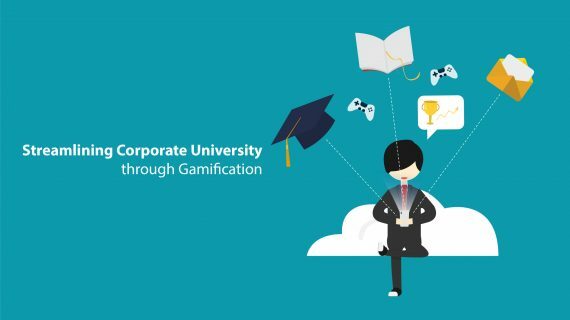 This phenomenon is well explained by the gamification expert, Yu-kai Chou’s Epic Meaning and Calling Core Drive within his gamification framework, Octalysis. Learning and games were so often disregarded as opposites before. But as time goes on and our technology and innovations progress, we learn that this couldn’t be further from the truth. 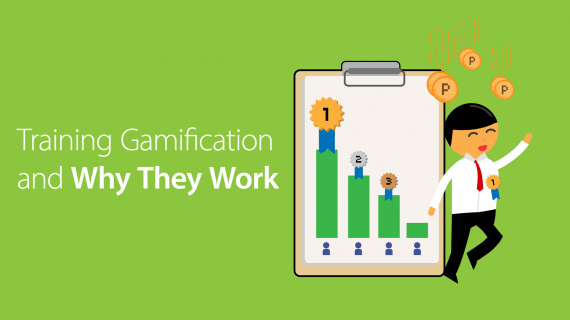 This is proven even further when a number of surveys by Talent LMS stated that most people do in fact enjoy gamification to be collaborated into their learning or training process. The above survey is one of those crucial surveys that shed a light on what people think of common gamification traits like the PBL (Points/Badges/Leaderboards) system within e-learning. Before we delve deeper, however, there is a need to clear the misconception that Gamified Learning and Game-Based Learning are the same when that couldn’t be further from the truth. These two terms are so often used interchangeably when they mean two different things entirely. First of all, game-based learning is the type of learning when you rely on a game to teach you. Some games can be developed and tailored to teach the user certain specific things; these are usually the type of game-based learning used in corporate training or similar activities. An example of this would be the game: The Code which Agate developed to help the Gunung Sewu Group train their employees in compliance. Another example is how—by playing the game Where in the World is Carmen Sandiego—you learn the geography of the world. Gamified learning, on the other hand, aims to ease your learning process and motivate you by adding game mechanics like Narrative, the PBL system, customization and so on. 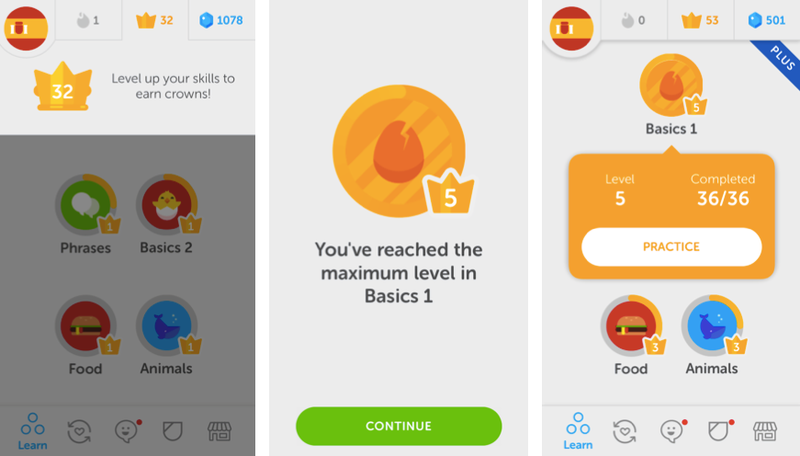 A good example of this is how Duolingo keeps track of your progress with points and levels as you use the app and so on. Learning languages used to be looked at as something where you stare at a dictionary and pull your hair out due to how intensive you need to be to learn it. But with the help of gamified apps like Duolingo and Memrise available through your phone, you can learn languages bit by bit anytime and anywhere while the gamified mechanics keep you hooked on learning in a daily basis. For a long time, simulator and tycoon games have been teaching countless kids and adult alike the rough feel of business, teaching you about business management to increase your profit. From these types of games, even children can get a feel of how the economy works. And these types of games are such a common occurrence that interfaces like the one below can seem simple for any young mind after they go through what usually is a quick tutorial. And with adult-oriented games like Gamelearn’s Merchants, you can train and learn more in-depth things in the world of business. Stock Trading remains to be some of the most complicated and risky ways to earn money. It is a practice that takes so much to master and even a good amount of adults still has no idea how it works. And yet, it is being featured as mechanics within best-selling games like Grand Theft Auto 5 and suddenly kids and teenagers know more about modern-day investments than the average adult and even treat them like something enjoyable. Meanwhile, a more practical learning also exists. 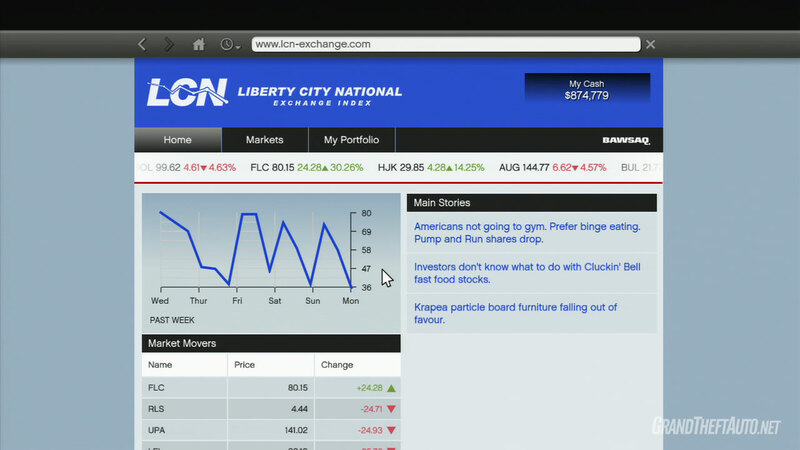 Programs like the Stock Market Game offers gamified courses that have been claimed to make a lasting impact on students. We are entering an age where anything can be learned much easier with the help of game mechanics. From customized corporate training to general economy and management, the use of game mechanics within learning and training alike are endless. 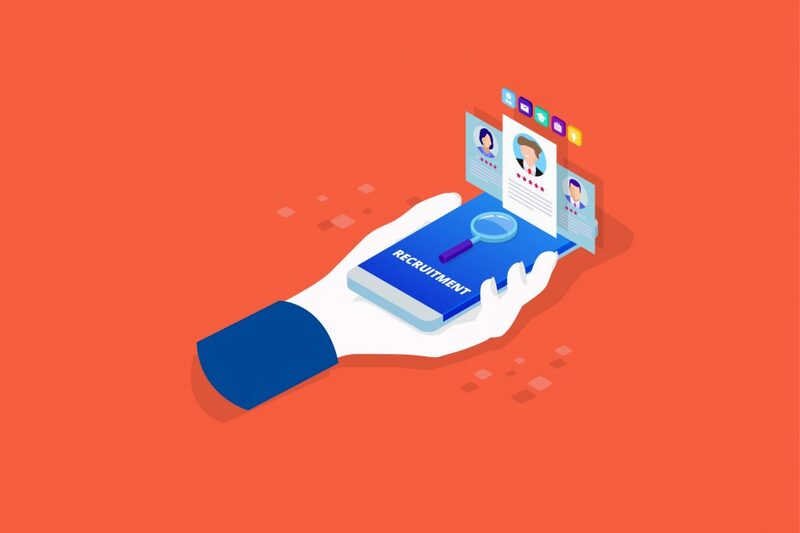 In one of the article this month, we have touched on this topic a little by mentioning Gojek’s Go-Points, Waze’s general gamification, Gametize and a few others here and there. But in this article, we would delve deeper into some of the more recent and relevant cases from bigger companies. 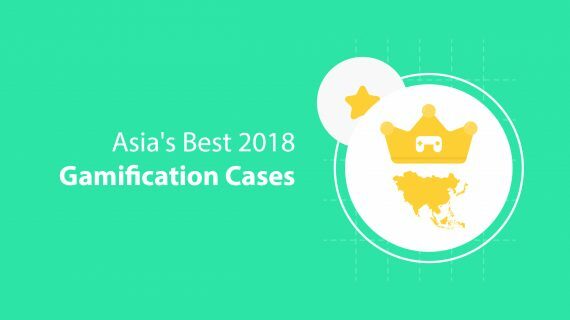 Hopefully, you could learn from these giants’ gamification and perhaps understand more about how successful gamification could be within Asia or originating from Asia. In case you do not know this gigantically expanding, multinational software and technologies company originating from China, Baidu is one of—if not the largest—AI and internet-based company at the very least, within all of China. And the example derived from this company is their Chinese-exclusive maps. Albeit this application is only available in Chinese and the range of its map is somewhat limited, the main focus of this is how they used a very simple yet incredibly well-received gamification. 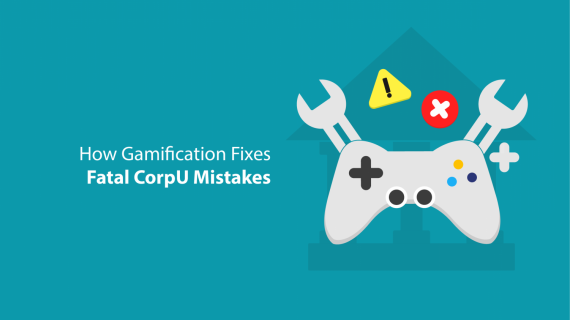 The gamification lets people who report errors and mistakes within the program to gain rewards. How it works is that if you, as a user, see something missing from the maps or see something inaccurate, you can report the problem and earn 2 yuan, something that could be accumulated like points and be redeemed for in-game rewards. 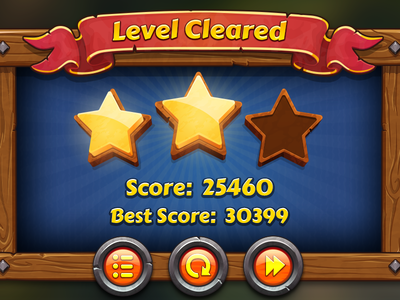 This seemingly feeble and minor gamification technique helped boosted not only the user experience but also for Baidu to receive more direct feedback which they could use to further improve the app, and the cycle continues. For your information, Alibaba is the world’s sixth-largest internet company by revenue. And though you would most likely know about this large company already, the Alibaba Group is a company that works on things from Retail, IT, AI, and Internet Technology. But what they are most likely most known for, is their E-Commerce. Their website acts as a mediator between you as a customer and the best, cheapest suppliers there are, around the world. During each year of November 11th, Alibaba holds a massive shopping event. The event is programmed that by midnight, people gets to have a large discount to their pre-selected purchases. This, somehow, serves as the Chinese equivalent of Black Friday. The gamification in the event works in various ways and multiple layers of innovation upon innovation. With them being VR and AR purchases, interactive television, repeat visits means bigger chance for rewards, and so forth. Naver, the Korean giant internet company has a Japanese subsidiary called Line. If you’re not familiar with it, Line is mostly a social media/messenger company for your mobile devices. It is also known to develop games, software, and other such things. However, among the many other things Line has been known to masterfully develop, it also has a long-running gamification system for the messenger software. Previously known as Line Coins, Line Points are points that you can accumulate by visiting ads, playing games, and other varieties of activities. These points are simply recognized as a way for in-app purchase. The purchase is mostly comprised of stickers that you can use in your messages, to really personalize how you communicate with your acquaintances. There are countless other examples to choose from in Asia. Most of which are not boasted or treated as a strategy, because they are all ‘minor’ things that are implemented within their actual products or strategies. But that in itself, is the beauty of gamification in the first place. Something so simple can affect the outcome so far and Asia is only getting started. 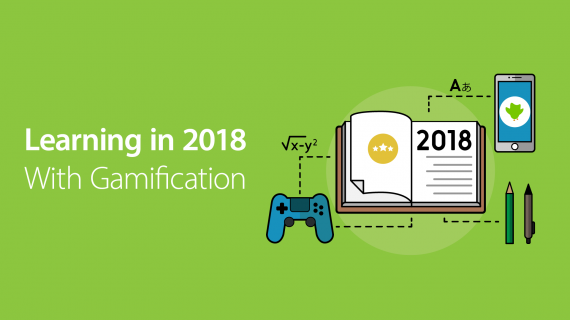 Seeing so many gamified strategies everywhere despite little fuss about it means that gamification is becoming something of a natural addition. The businesses within Asia knows what works and they’ll only continue to use them. Once they master these plans, you will see that the largest continent in the world would, in the long-run, prove to be the largest competitors in the world—even those that hail from developing countries. And now, it is up to you whether or not you’d like to step up your own company’s game.